Plans include one time contracts and monthly contracts. I would suggest to any dealer to sign up for recurring monthly content. Most dealers do 10 pages per month. On these research model pages customers can find everything they want to know about any new model in your inventory. Some model specific topics include: trims, financing, model overviews, and leasing. 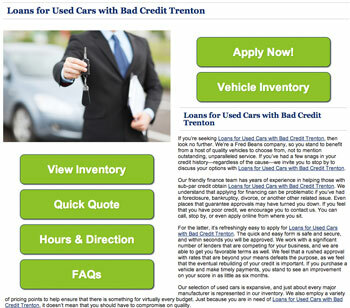 Some of the topics can write on are financing, lease, special financing, used, new, service, trade-ins, and parts. No matter what your strategy, we can create content for it. If you are interested in signing up or want to learn more contact us or call 877-622-2291. The post Dealer Content Marketing starting under $100 per month appeared first on Content Motive.